I’m still working on transcribing the Carlisle Indian School records, although I’m nearing the end of all 18,000 records found in three sources that have to be integrated. This project has been way beyond the magnitude I ever expected. One thing I’ve noticed is that there are a significant number of students with Alaskan noted as their tribe. Keep in mind that this was long before Alaska became a state of the Union. The gold rush in Alaska brought prospectors in the 1890s and early 1900s, but it wasn’t until 1912 that Alaska became a territory and not until 1959 that it became a state. The Carlisle School opened in 1879 and closed in 1918 in the wake of WWI. We don’t know exactly when most of these students attended, but it was certainly between those dates. Some students, or students with the same name, are designated as Alaskan and then as another tribe in a different record. For example, Anna Kittail in one record was shown as Alaskan and in another, Apache. Those two are pretty hard to confuse, and two students with the name of Anna Kittail would be quite unusual as well. Maybe someone misinterpreted Apache as Alaskan or vice versa. Another was William Jackson, Alaskan and Chippewa and yet another, Clara Hall, Gros Ventre and Alaskan. In some records, a state was given, in others, not. You would think Alaskans would be from Alaska. Now I don’t want to give the impression that only students with Alaska tribal designations had multiple tribes listed. That’s not at all the case, but some of the others make more sense, like Mohawk and St. Regis, which could indeed be used interchangeably. So I began to wonder about the Alaskan designation, all things considered. Then I found the record of Edward Marsden. In one record, he is listed as Alaskan, from Alaska. Good, so far this makes sense. In another record, he was listed as Metlakahtlan. I’ve never seen that tribal designation before, so I decided to take a look. Sure enough the Metlakahtlan people were Alaska Tsimshian indigenous people. 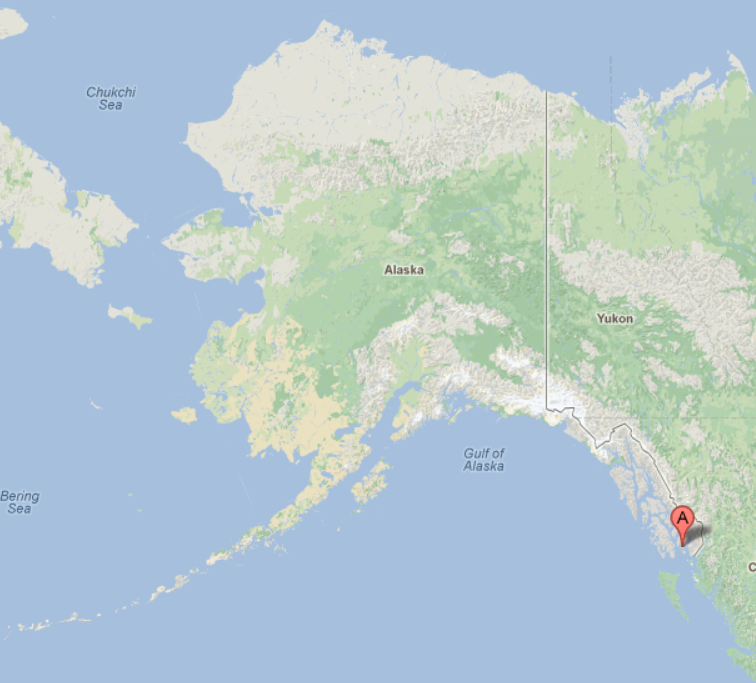 Furthermore, we now know where Edward was from – a village in far southeastern Alaska, shown on the map below. In fact, it turns out that Metlakahtlan has a very interesting history. Metlakatla comes from Maxłakxaała, a Tsimshian word meaning “Salt Water Passage.” Metlakatla was named after another village of the same name (“Old Metlakatla”) in British Columbia, which is on Metlakatla Pass, near Prince Rupert. In a more ancient time, it was a Tlingit hunting ground known as “Taquan”. The Tsimshians were granted permission to own the land by Chief Johnson of the Tlinget tribe. In 1886, William Duncan, an English tannery employee and lay minister of the Anglican Church, had a doctrinal dispute with the Church authorities in Metlakatla, B.C. He and a devoted group of Tsimshian followers decided to leave Metlakatla. Duncan went to Washington, D.C., in the United States and asked the U.S. government to give his group land in Alaska. The U.S. under President Cleveland gave them Annette Island after a search committee in seagoing canoes discovered its calm bay, accessible beaches, nearby waterfall, and abundant fish. In 1887 the group arrived on the island and built a settlement in the Port Chester area of the island. The town was laid out in a neat grid pattern and contained a church, a school, a tannery, and a sawmill. They named the town New Metlakatla, after the town they had left behind, but later dropped the “New”. In 1888, William Duncan returned to Washington and lobbied the U.S. Congress for an Indian reservation on Annette Island. Although the reservation system had not been used in Alaska, this request was granted in 1891. Annette Island and its surrounding islands today comprise the only Indian reservation in Alaska. Duncan remained at Metlakatla until his death in 1918. 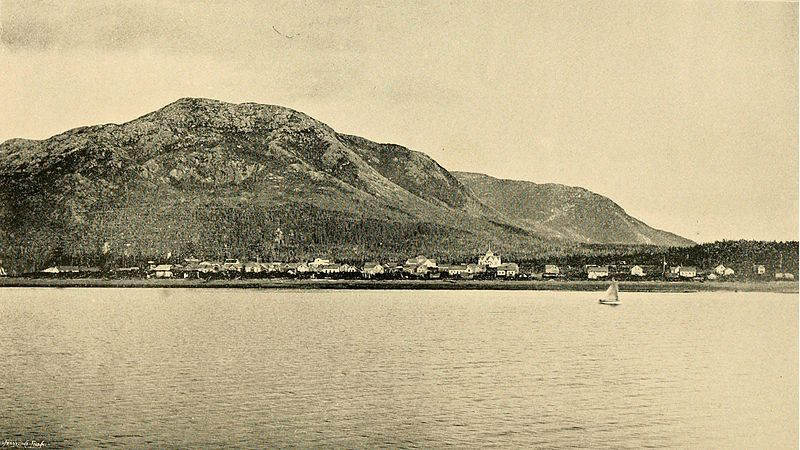 This photo shows Metlakahtlan in the 1890s, about the time Edward Marsden would have been born or living there. Indeed today, Metlakahtlan is a thriving Native community. You can see more on their webpage at http://www.metlakatla.com/index.html. This entry was posted in Alaska Natives, Tsimshian. Bookmark the permalink. Charles Bender native american Played with the White Socks and other ball team’s. He went to Carlisle Indian School. He was born in PA. His father was German his mother was native american. You can look it up on google to get the right dates. My grandfather was a James Bender His father was Charles Bender. Not sure if that Bender id related to me. We never herd of any ball player’s but, we were told by our grandmother that we had native american in us. Chief Charles Bender was born in Crow Wing County Minnesota, not PA. but did live there at one time. And yes he did go to Carlisle Indian School. He was Ojibwa and German. My great aunt “Mabel Stack” was a Tsimpshian from Loring Alaska who was a student at the Carlisle Indian School in 1903 and 1904. She died at the school in August 16, 1904 at the age of 12. It was not documented by the school or national archives that she was Tsimpshian, but according to my grandmother, she was and it’s also documented on the 1900 Alaska census that she is Tsimpshian and my grandmothers birth certificate say Tsimpshian, they had the same mother. My great grandmother was married to a Tsimpshian too last name Booth, but he died some time around 1896 and she married an Irish man last name Stack in 1897 and he adopted her children and had several more. I wish this could be corrected. By the way, she is buried in the Carlisle cemetery, and her last name is spelled incorrectly on her headstone. Mabel Stock instead of “Mabel Stack”. You may not be able to correct it on her headstone, but you can make a Find-A-Grave entry for her, assuming one doesn’t already exist, and correct anything there. Thank you, yes, I bet I could do that. I know there’s probably more I could do, possibly donate for the stone myself. Did you find Mabel on the Carlisle lists? Thank you. This is a link to the some information on Mabel from the Carlisle Indian School Digital Resource Center at Dickinson College. Do you have more information on the Alaskan group of students that arrived in Carlisle in Oct. 1903? I believe there were 32 students, 16 male and 16 female. I also believe there are 4-5 students from that group that are buried in the cemetery in Carlisle. My great uncle, Dr. L. Webster Fox, accompanied Richard Pratt of the Carlisle Indian School on a trip to Alaska in August 1903 to recruit about a dozen students for Carlisle. Edward Marsden would bring the students to Carlisle in Oct. of that year. I am trying to find accounts of the initial trip, the students trip to Carlisle. Several of these students would die in Carlisle and are buried there. My uncle’s daughter wrote a biography of him in the 1950’s, but accounts of that trip are taken from his wife’s journal and mainly deal with Alaskan scenery. Thanks for any help you can offer. Does anyone remember a Missionary there by the name of Mary Johns , she used to come to Stewart on a Mission ship called the Willishank owned but the Stabberts .